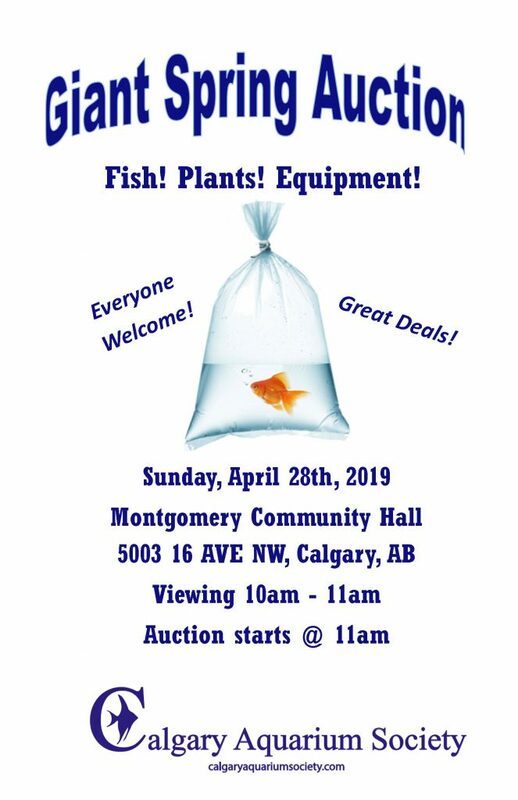 Calgary Aquarium Society | An aquarium club in Calgary. Dr Bousquet will start with an explanation of the new federal “Responsible Use of Medically Important Antimicrobials” legislation, why it was needed, what it means about accessing antibiotics for pet fish, and what a veterinarian needs to be able to dispense antibiotics for fish. She will discuss the role of the fish vet, what they can do, etc. Finally, she will go over general tips to avoid some of the common issues we see in fish practice and if time permits a question and answer. Dr. Teresa Bousquet is a small and exotic animal veterinarian. She graduated from the Western College of Veterinary Medicine in 2007, and has been practicing at Park Veterinary Centre in Sherwood Park, Alberta ever since. Dr. Bousquet is passionate about Exotic Animal Medicine. She is a member of the Board of Directors of the Association of Exotic Mammal Veterinarians, a member of the Association of Fish Veterinarians, and a member of the Association of Reptile and Amphibian Veterinarians. Dr. Bousquet lives in Edmonton with her husband, Peter, and their 2 dogs, 3 cats and 2 guinea pigs. .
No content found with id '336'.